Is the direct import and export possible with Autocad? 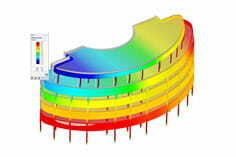 RFEM provides an interface to software programs developed by the Dlubal company. The input data of allRFEMPredecessor versions are imported without problems. Also the files of the framework programRSTABcan be opened directly and supplemented with area or volume elements. Conversely, you can also open RFEM 5 files in RSTAB 8. There is a direct link to the CAD applications ofTekla StructuresandAutoCAD(but not for LT versions). 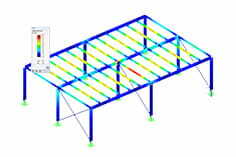 With RFEM, the advantages of BIM (Building Information Modeling) to exchange data models for digital planning.